SEATTLE, WA: Big Trees Inc., (http://bigtreesupply.com/) a tree transplantation and tree nursery company in the Seattle area, recently acquired a new vehicle for use in the company’s tree nursery. The vehicle, a 4 seater cart, is ideal for use for transporting customers around the company nursery. 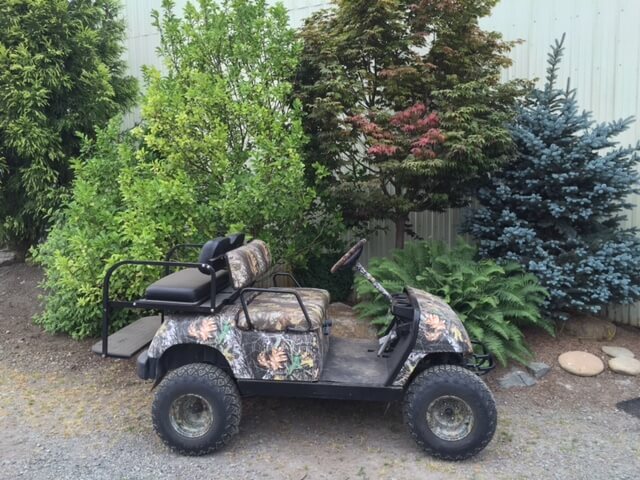 The cart is small enough to not cause damage to the trees but large enough for customers and employees to get around the large facility and be able to view the significant size nursery with ease.